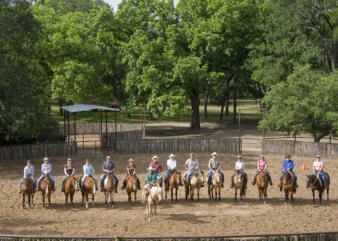 Ride Smart Horsemanship encompasses the values, teachings, and lifestyle of the horseman and the legend, Craig Cameron. In the three decades since he began, Craig has established himself to be one of the preeminent figures in the horse industry today. In fact, there is plenty of evidence to suggest that Craig and his talents have been a major force in extraordinary growth of the horse-man-ship movement. It’s all about Craig’s hard work, discipline, dedication and heart, fused into one plan, one person, one goal – to help the horse. Craig Cameron has had a lifetime of education, learning from the greatest teacher of them all – the horse.